Pink and soft marshmallow candy bubbles with bubble gum flavor. These pink and soft marshmallow candy bubbles taste of delicious bubble gum with a sweet and crunchy sugar crust. Bubbleliciously good. 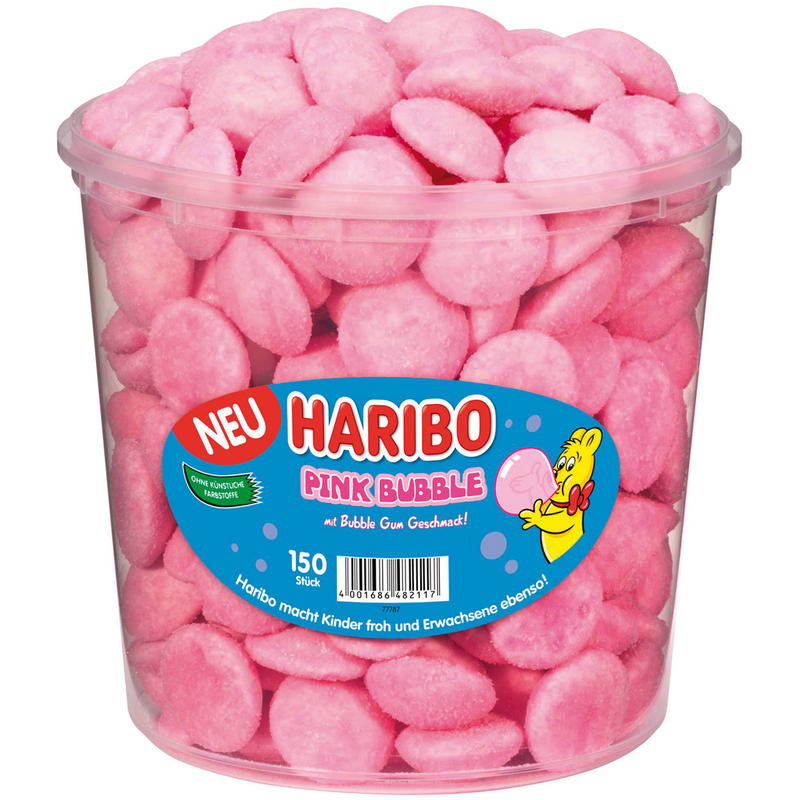 150 pieces are included in the round, resealable plastic container. 1050g / 2.31 lbs NET. WT. Sugar, glucose syrup, gelatin, acidulant: citric acid, flavoring, fruit and vegetable concentrates: sweet potato, apple, radish, black currant. Zucker, Glukosesirup, Gelatine, Säuerungsmittel: Citronensäure, Aroma, Frucht- und Pflanzenkonzentrate: Süßkartoffel, Apfel, Rettich, Schwarze Johannisbeere.